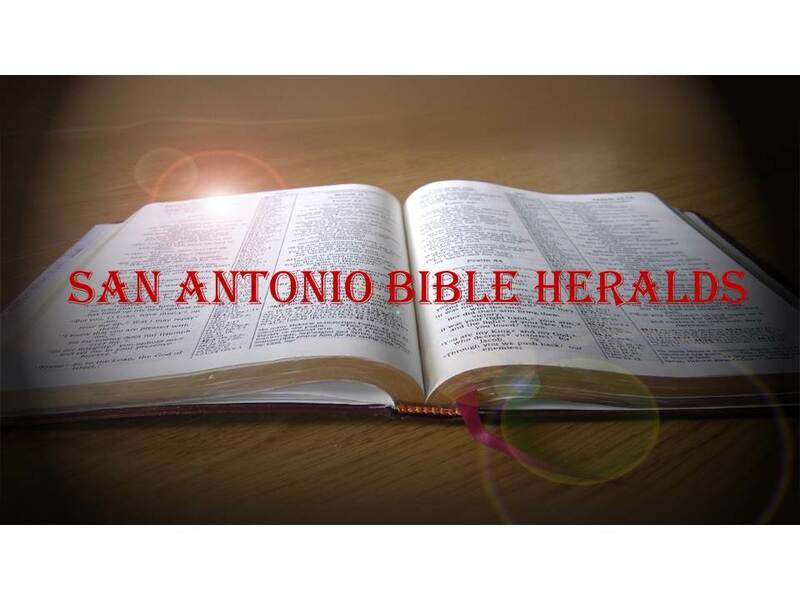 San Antonio Bible Heralds: Should the Bible be Taken as Literal Truth? I heard a program recently where a Bible teacher expressed his distaste at some of the events portrayed in the Old Testament. Specifically, he was declaring that 1 Samuel 15, where God commands Saul to destroy Amalek to include men, women and children, should not be taken literally. The basic premise for this belief is the fact that, according to this individual, the revelation of God in Jesus would necessarily preclude us from interpreting such events literally. It is not possible, according to the teacher, for God to be the God of the Old Testament, if we are to interpret those events literally, and also be the God that was revealed in the New Testament in Jesus. I’m not going to pretend that there are not many events in the Bible, especially in the conquest of the Promised Land, that not difficult to understand and explain. But the answer to such issues is not to dismiss them and to simply chalk them up to being allegories used by the authors to “teach a spiritual truth.” As I have said before (though I cannot claim credit for it being an original thought with me), if you begin to dissect the Bible and decide what parts you want to believe are true and what parts are simple allegories, you’ll not only find it impossible to know where the truth lies, but will also be setting up yourself as the arbiter of God’s truth. There are some things in the Bible that are not literal, but they are fairly easy to discern. We should believe the Bible is telling us literal truth unless it is obvious that it is not. The answer is not found in trying to somehow allegorize whatever seems to be difficult or hard to understand. But neither is it to ignore it with a wave of the hand and say “well, it’s in the Bible so I believe it and that settles it.” We have a responsibility to those around us to help them understand the truth of the Bible. That is not only true with those who are within the body, but also those without. And there are many within the body who are struggling with such issues. To simply shrug our shoulders and say “well, you’ll understand it someday if you just believe it” is, in my opinion, the height of irresponsibility. You may search high and low in the Scriptures, but I don’t believe you’ll be able to find that attitude among its writers. God gave us a revelation and He expects us to read it and understand it. If not, then His revelation is futile and we will never be sure just what it is He wants us to do. Can we understand everything in the Bible with 100% accuracy? No! That is why we continue to study; if it were possible to learn every single truth and every single detail about those truths, then we could say that, at least theoretically, we could stop studying at some point. But Paul reminded Timothy to “study (be diligent) to show yourself approved unto God, a workman that does not need to be ashamed rightly dividing the word of truth” (2 Timothy 2:15). It is obvious, then, that we are to continue to study, to search and to be open to God’s revelation in the knowledge that there will always be things to learn from it. Getting back to our teacher, in the final analysis his bottom line conclusion concerning the events he showed so much repulsion to, was that “if I cannot imagine Jesus doing something then I cannot imagine any person of God (the Trinity) doing it because they are the same in substance and character.” Thus we see that this individual is basically telling us that he will “edit” God to make sure He fits the mold that the individual thinks is the right one. If we are repulsed by some actions of God in the Old Testament, well then we can just erase them and reinterpret them in light of what we believe should be the right light. Too often we are anachronistic in our world view. We have a tendency to apply our modern values and what unbelievers tell us (“it’s genocide, it’s so awful,” etc., etc.) to the events taking place in biblical times. The bottom line is that God, as the creator of all things, has the right to do with His creation whatever He wishes. That is the point of Romans chapter nine. Paul recognizes that, as the maker of all things, God can determine what is done with every single thing, including humans, that He has made which, obviously, means everything without exception. There are many events that take place that, although we consider terrible, we resign ourselves to because we say they are “acts of God.” At one time God chose to destroy the earth by water, how is the extermination of the Canaanites any different? Simply in this, the instrument was human rather than nature. In the final analysis, if we don’t learn to respect God’s absolute and supreme right to His creation, we will rebel whenever we think things should be different. That is what man has been doing from the beginning, and it is quite sad to see Christians doing the same thing, howbeit under the guise of piety. There is a day coming when the earth will be destroyed and all in them (2 Peter 3:10ff), we will then not be able to pass any sentence on God’s actions. On the contrary, we will be the ones standing as the accused and the question is whether Jesus will be our advocate or our executioner!